On July 22, 2018 July 23, 2018 By Genki JasonIn Japanese Film Trailers. Giovanni’s Island has a story deals which deals with the immediate aftermath of World War II and two brothers trying to find their place in the world amidst a Soviet invasion. 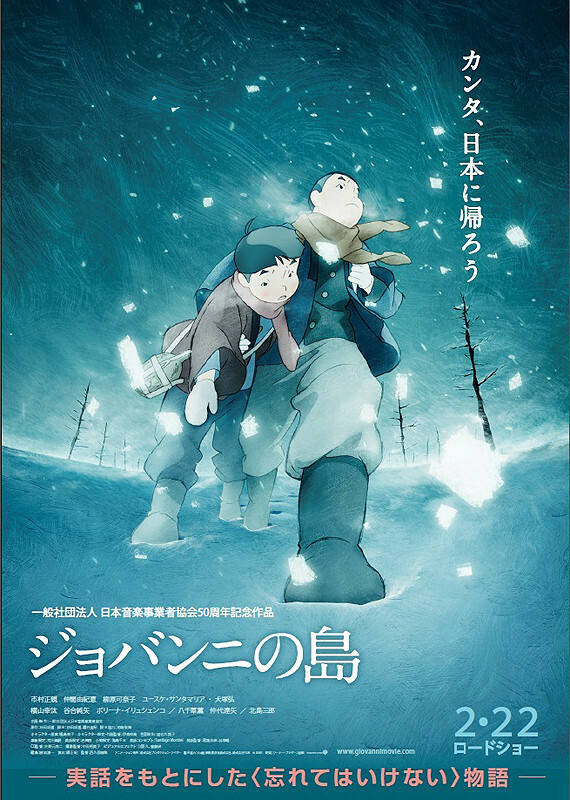 It has been compared to Grave of the Fireflies and that is heady praise. One does not invoke that film lightly. Synopsis: Junpei and his younger brother Hirota live on a peaceful island of Shikotan with their father Tatsuo and grandfather Genzo. The island lies north of Japan and close to the Soviet Union. They get their names from the Kenji Miyazawa novel Night on the Galactic Railroad which their late mother enjoyed reading. Then on August 15th, 1945, Soviet troops arrive. The boys glimpse the chaos and fear an army occupation brings but they also feel love for a Russian girl named Tanya. Makoto Nakamura has had a long career making TV anime such as Yuri Kuma Arashi, Coppelion, as well as OAVs and films such as GYO: Tokyo Fish Attack and Hotarubi no Mori e. Chier to Cherry is his directorial debut on an original work and it was inspired by ideas in Russian animator Roman Kachanov’s 1967 The Mitten short. 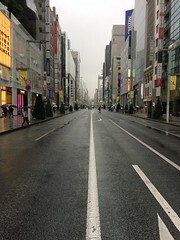 After being partially funded through a crowdfunding campaign last year it made its debut at the Tokyo International Film Festival. Synopsis: Chieri is a 6th grade elementary school girl. Her father died when she was little, so she lives with just her mother. The only friend of Chieri had been a stuffed doll Cherry which she found on a storehouse at the time of her father’s funeral. In Chieri’s world of fantasy, Cherry had talked and played with, and advised and protected her in place of her father. Chieri visits her grandmother’s house for a first time in a while to attend her father’s remembrance ceremony. There, she finds a stray dog being about to give birth to puppies. But a crow and strange monster come trying to get the pups. Can Chieri and Cherry save their lives? Who can kill a cat? Cats rock! It seems this samurai agrees in this fun looking film which is based on a TV show. Synopsis: Kyutaro (Kitamura) was once a fearsome samurai but has fallen on hard times and tries to keep a low profile. 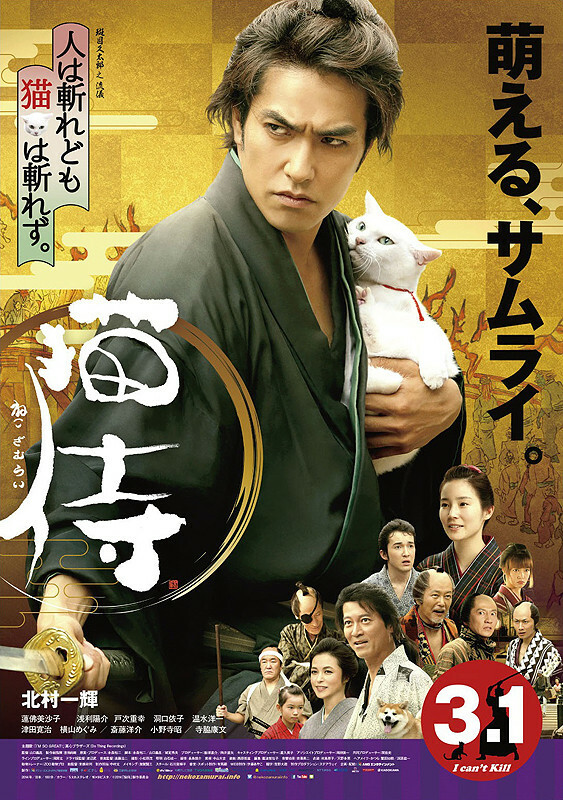 When a man named Sakichi (Mizusawa) sees an example Kyutaro’s swordsmanship he hires the samurai to kill a white cat named Tamanojoh who has bewitched his boss Yozaemon (Ito) and left him immature. Kyutaro takes the job but when he sees how lovely the white cat is he has a change of heart. The second of two films involving kids learning to be independent. 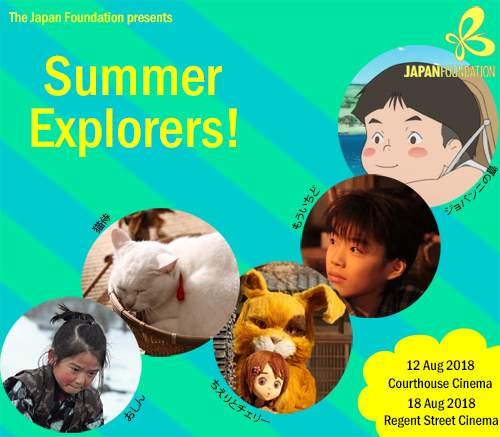 Synopsis: In 1907, 7-year-old Oshin (Hamada) is traded by her parents for 60kg of rice and finds herself made to work in a lumber shop. It’s tough and about to get tougher when she is suspected of theft by the owners. 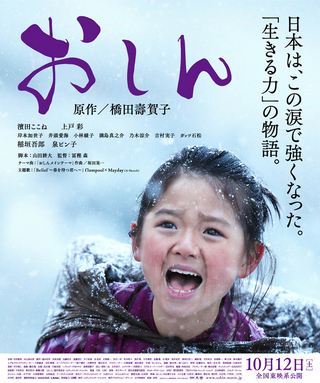 With no other options left, she takes fate into her own hands and runs away into the mountains during a blizzard where she is ound by the kind Shunsaku who helps Oshin learn how to read and write, and the importance of independent thinking. A remake of the biggest hit drama in Japanese TV history from 1984, Oshin retells the story of a woman whose patience and endurance helped her through a tough life.